Light blue is a delicate colour for delicate souls. Because of this you’ll find our laces tying the shoes of coffee shop connoisseurs, frustrated artists and lovers of musicals. These are shoelaces for people with big dreams and bold ambitions. They will drag your feet one step closer to those creative goals. Our Light Blue Shoelaces are a reassuring whisper, the hug you need when things aren’t going so well. They project self-belief and have an inner confidence that few other colours can match. 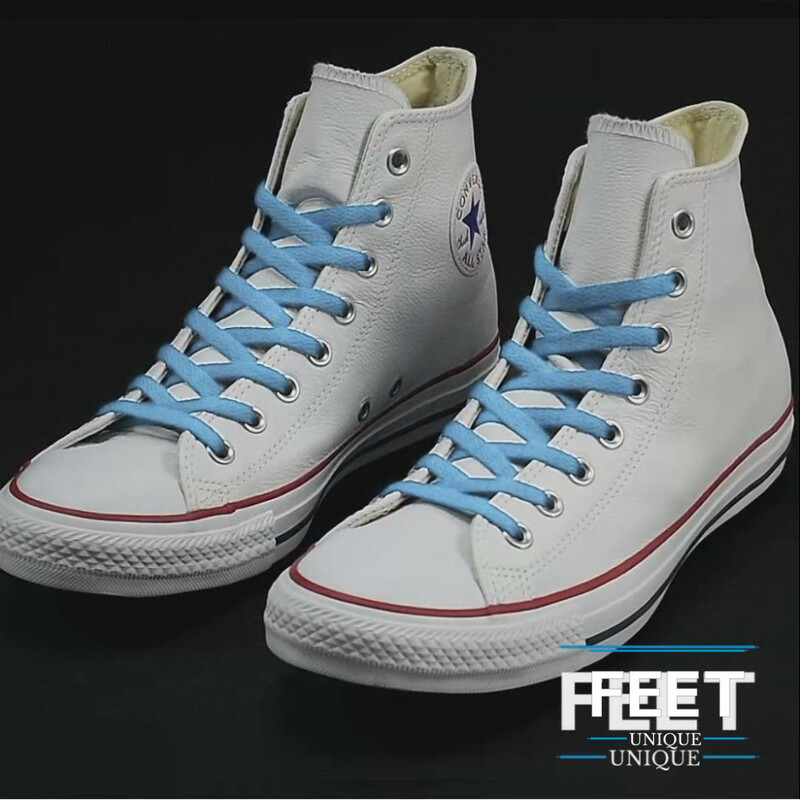 We recommend keeping things simple with these light blue laces. Pair them up with classic shades of white or grey for a subtle but eye-catching combination.